For use in repair of small areas and decks. Used with cloth, mat and roving. Hardener included. Does..
Use on bar tops, tabletops, plaques, etc. Dries to a high gloss finish. 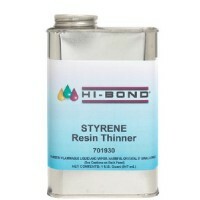 Mix ratio is 1 part hardener..
Epoxy based glue with a high viscosity. Will not sag under normal conditions. Mix ratio is 1 part ha.. Neutral base exterior gel coat is not pigmented for use with polyester pigments. 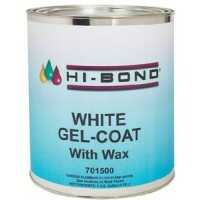 White exterior gel .. Contains wax. Premium surfacing and patching resin. 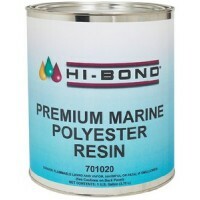 For use in boat covering and repair work. 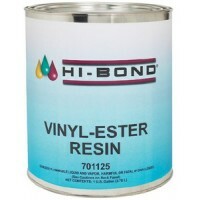 Use wi..
A premium, high quality, high strength, vinyl ester based resin. Use where the highest possible stre..
Use over fiberglass surfaces. Designed to cure to a tack-free finish. Sanding is required between co.. Formulated for use in colder climates or where users require a faster curing system. 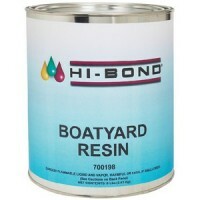 Size: Quart..
Epiglass HT9000 system is an easy to use, versatile epoxy resin system. It has the ability to wet ou..
Standard hardener is designed to give ample working time in normal temperatures. 4:1 mix ratio offer.. 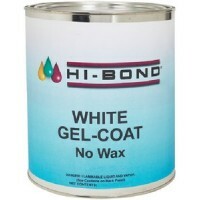 This premium quality gel coat is a Isophthalic NPG gel coat formulated to meet rigid requirements in..